Add more to your reading experience, listen to this playlist of Rita Saliba's favourite songs whilst reading this feature on her. Have you ever seen those motivational posters that show an iceberg with the tip above water and the bulk beneath? It is a reference to the hard work that goes into any success story which most people never get to see. 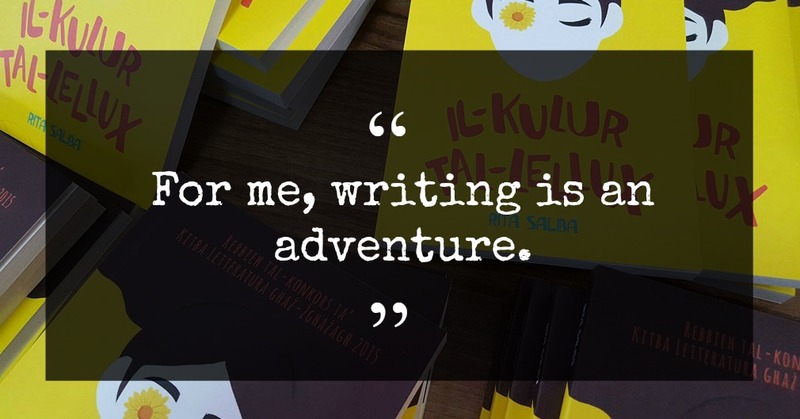 Perhaps unsurprisingly that was the image that came to my mind as Rita Saliba, one of Malta’s most prolific authors, was describing her writing process. 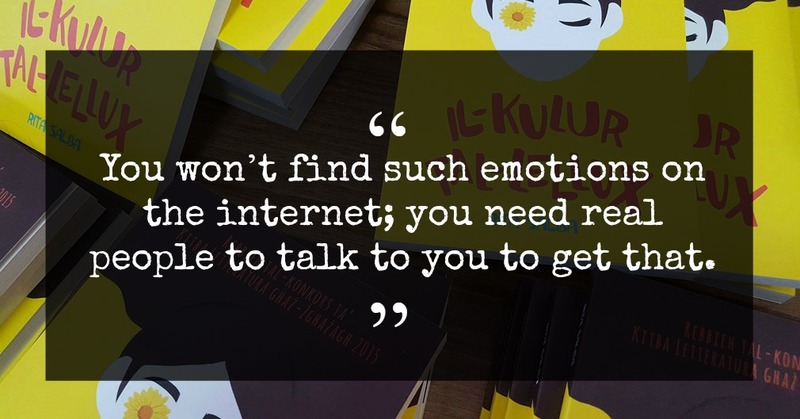 All those emotions are then poured into the book; the magic dust that ignites readers’ emotions. Something Rita has been doing plenty of. 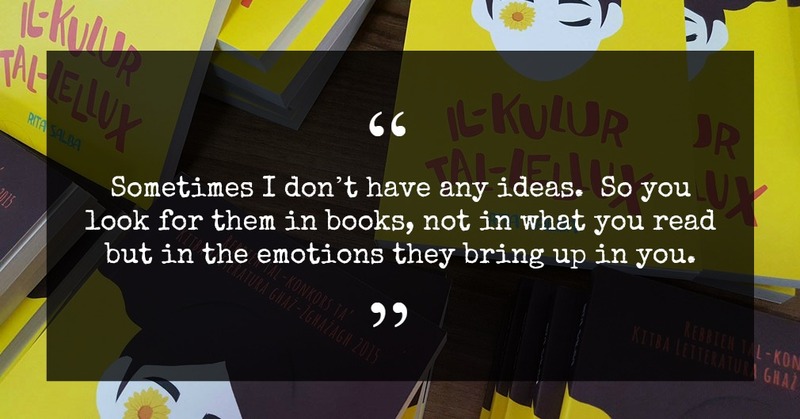 Modest and unassuming – her soft voice matching an innate level of shyness – a casual glance would not give any indication that this is an author who has left quite an impact on the Maltese literary scene. 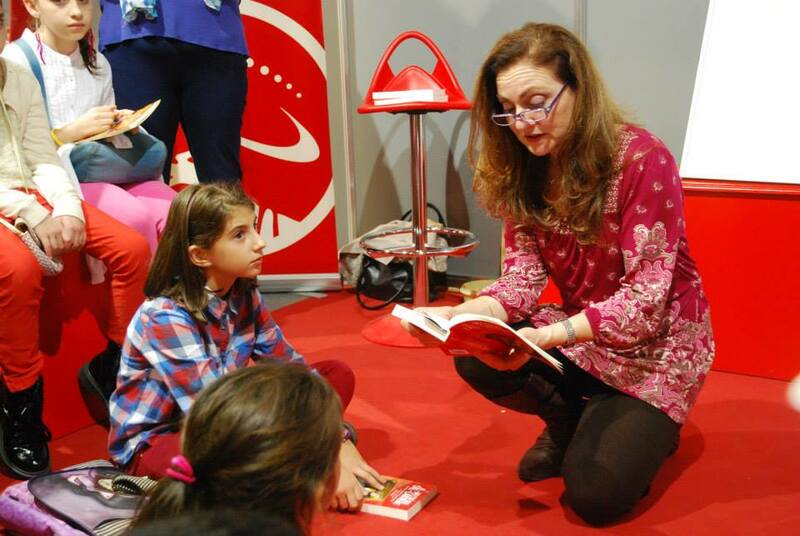 Her three young adult books – Inzul ix-Xemx, Bella Bergen u Il-Kulur tal-Lellux – all won the national price for literacy in this category and have gone on to boost an age bracket with quality writing in the Maltese language. 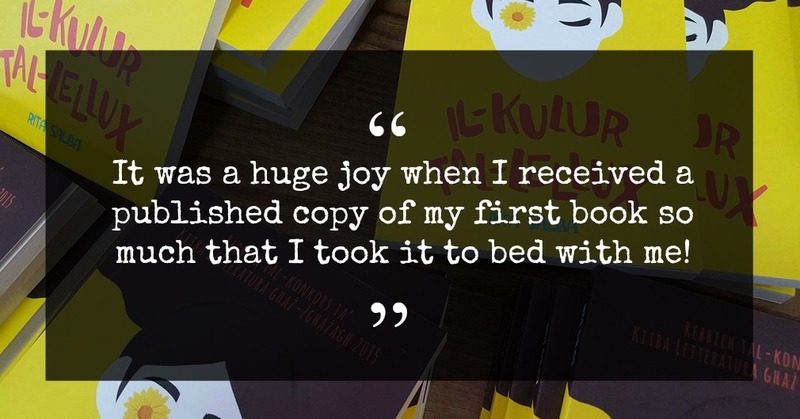 What makes her story all the more amazing is that she started publishing her work quite late. Not that this has had a negative impact on her career; indeed she feels that it is pretty much the opposite. It would be many years later that Rita would pick up writing. By that stage she had given up on her horse riding ambitions (I presume) and was busy raising a family. The creative urge that seems to be a constant in Rita’s life still nibbled away at her. 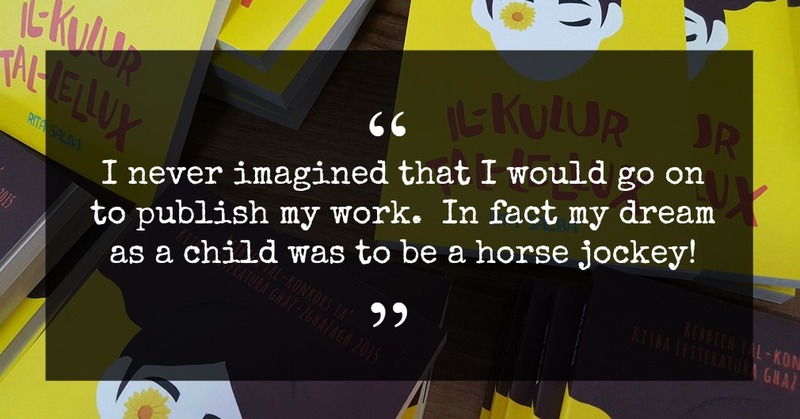 That success gave her the confidence to keep on writing and publishing books. 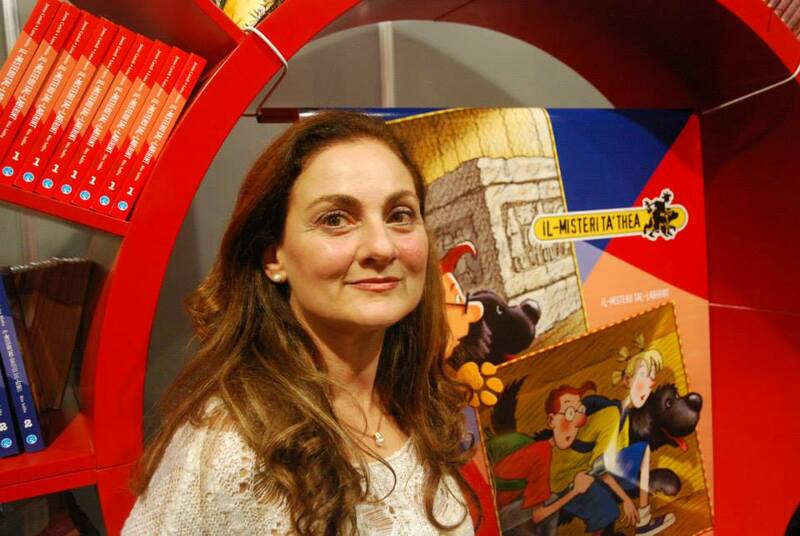 Indeed children provide her with quite rich feedback and inspiration as Rita, like many Maltese authors, makes it a point to visit as many schools as possible. This latter point is interesting because reading through Rita’s work it quickly becomes evident that character is the strongest driving force of her writing. When they were growing up, Rita often used to turn to her own children to get feedback. That is one of the ways that she managed to combine the strenuous task of raising a family and writing successful books. “Sometimes you can get an idea simply by looking at an empty cup of coffee. You notice people and start imagining their back story. Over the years I’ve come to know a number of people and everyone has their own character. Rita talks from experience but she is also open with her thoughts because she honestly wants others to do the same. 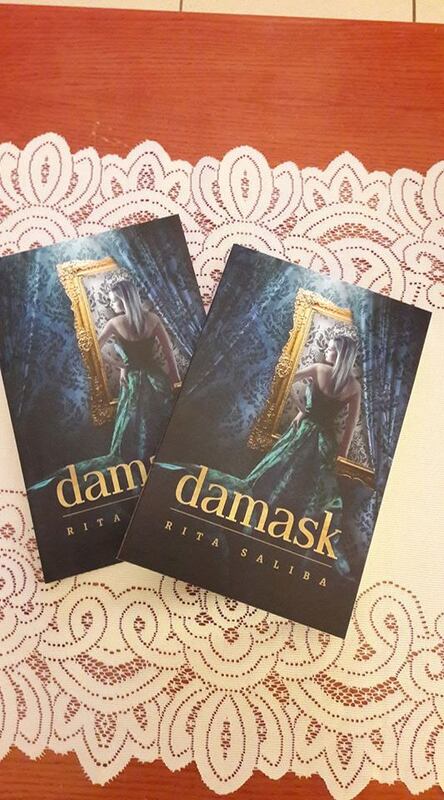 Rita Saliba has just published her latest book Damask, a collection of short stories that is available from Horizons Publishers who are also the publishers of another of Rita's books Satin. Other books by the same author are available here. For regular updates from Snapshots of Malta, follow us on Facebook. I had no idea about this local writer, thanks for sharing and keep more coming!